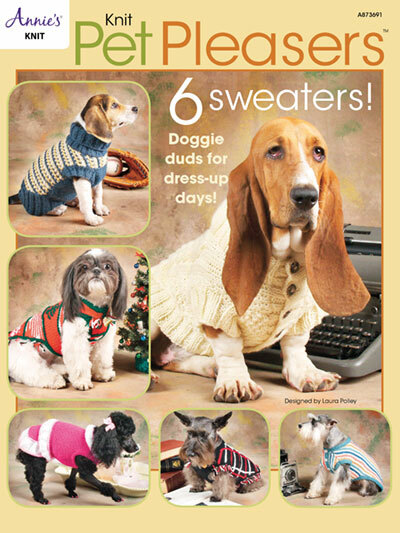 Dress your darling doggie in style with a soft and cozy knit coat, and you'll have the proudest pooch on the block! 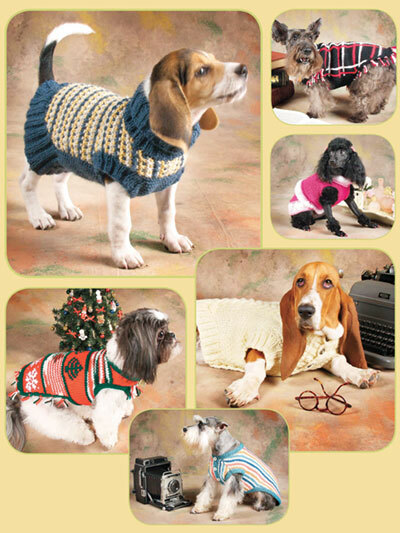 Designs are all made using worsted- and chunky-weight yarns. Knit the Slip Stitch Sweater with thick, cuddly ribbing and pretty patterned design, the Laddie Sweater with its adorable plaid pattern, the festive Snowflakes and Trees, or the classic Moss and Cables. How will you ever choose? You may just have to make all six. Sizes included to fit dogs from 12" to 26" chest. Includes instructions for measuring your dog for a perfect fit. Add a cowbell for extra jingle.